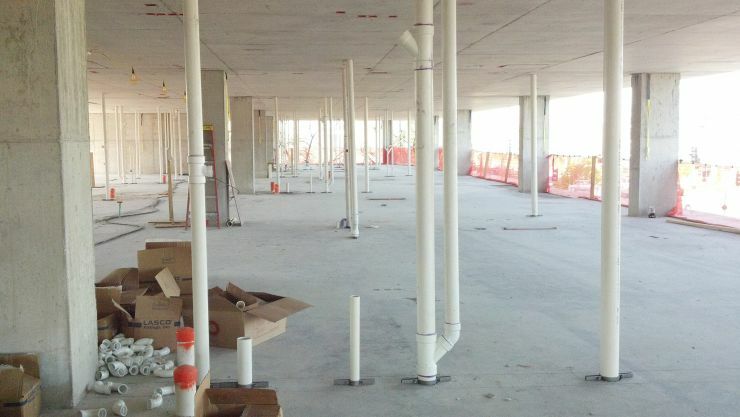 Great West Mechanical’s services include Commercial Plumbing, HVAC, and Design-Build. We offer a comprehensive variety of services for all of your new construction and remodel needs. We're also experienced with post-tension structures. In addition to Design-Builds, we also have our Trimble Total Station available to assist with accurate and efficient job layouts. This incredible piece of equipment allows us to work on post-tension structures with ease. The construction industry is fast-paced and constantly changing so we understand the importance of keeping up with new technology. Great West Mechanical has extensive experience with providing and installing plumbing systems. It doesn’t matter if it’s a remodel or new construction, our experienced plumbers will get the job done. 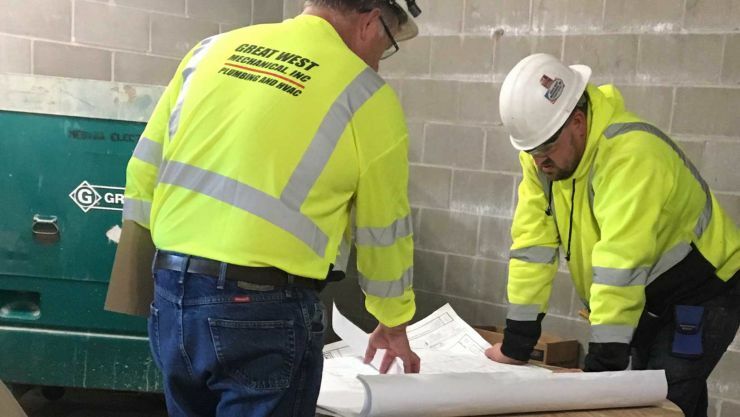 Great West is adamant with keeping up with project schedules and not letting the pressure affect the quality of work. 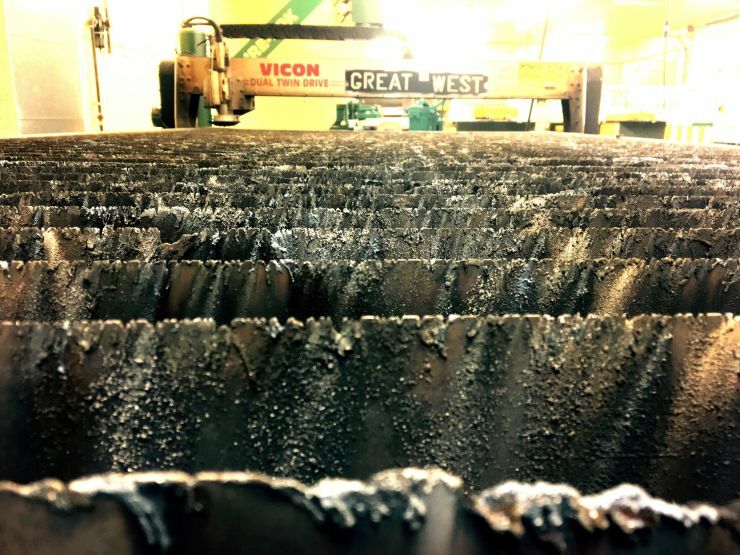 Great West Mechanical has their own in-house sheet metal fabrication shop. This helps our skilled installers have a quicker turnaround time when installing ductwork. Great West is experienced with an array of HVAC systems, such as Hydronics, Ice Melt, Chilled Water, Split Systems, DX Fan Coils, Magic Paks, etc. Great West Mechanical has forty plus years of experience in the plumbing and HVAC industry. With our knowledge and experience we can help contractors and owners design the perfect system. We’ll work closely with your licensed engineer to meet all specifications and most importantly, to meet the owner’s budget. The construction industry is ever-changing. Great West implements new technologies in order to stay competitive. An example of that is the purchase of our own Trimble Total Station. It allows us to work on post-tension structures. The total station is an incredible piece of equipment. Our designer creates a CAD drawing with field points indicating where all our vertical plumbing stacks will be placed. We then upload this drawing into our total station and head to the site. The next step is to plot the field points for the sleeves to be placed. 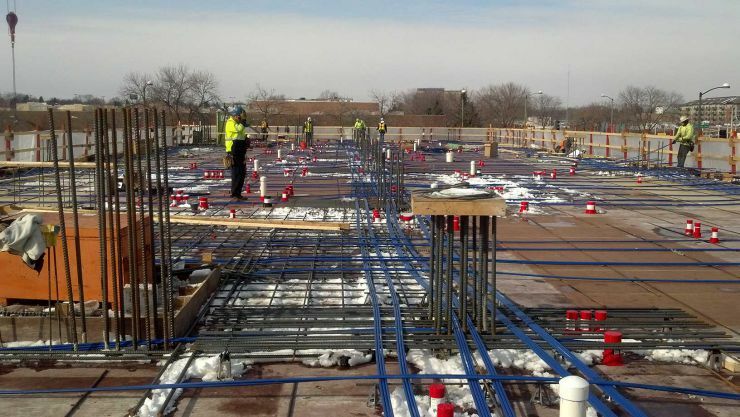 Once we layout all the sleeves, rebar is placed and cables are ran. The last thing to do is pour the concrete. We repeat this process for each floor. Projects with multiple stories will have thousands of these sleeves, so it’s crucial to be accurate when plotting field points. That’s just one example of Great West showing the willingness to implement new technology in this ever-changing industry.